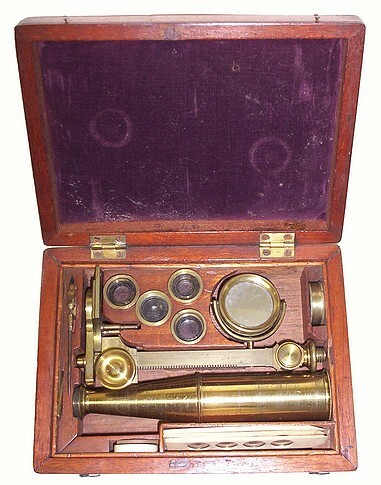 This larger Gould type case-mounted microscope can be inclined for easier use. 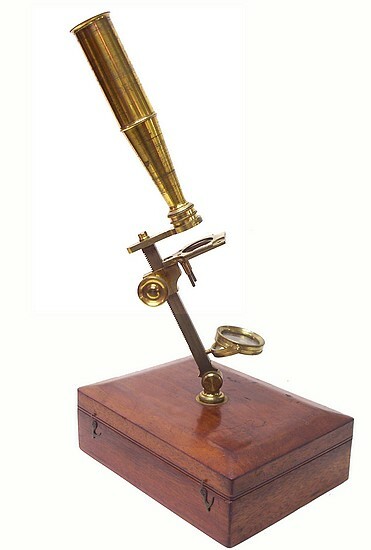 The accessories include four objectives which can be used separately or in combinations to vary the magnification. Also included is a stage forceps, a hand forceps, a live box, an ivory stage insert, and a group of ivory specmen sliders.